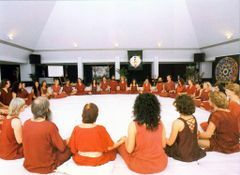 If you are new to Osho and his meditations techniques, we encourage you to read his books and lectures online at Osho.com (http://www.osho.com/) . 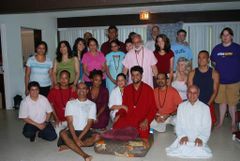 If you have never participated in the Dynamic Meditation, please join us sharp at 9:30 am, so that we could introduce you to the technique to participate in the group. *Arrive in time. No late entries please. *Please help maintain serene environment. *Take shower before coming if you have body odor issues. *Refrain eating heavy meals before coming. *Please contribute $20 to help our non profit. *Place cushions and mats back to its location "properly" after use. *Bringing shoes and food is prohibited inside the meditation hall. OSHO Dallas at Zorba S.